If biker clubs such as the Hell's Angels, the Mongols and Bandidos have released manuals on motorcycle etiquette, they have not released them to the public. Still, we may glean, from published work, some do's and don'ts on the subject of wearing a patch, or "colors," for bikers. The discreet biker may wear his colors outside of his territory, but never within the territory of another club. 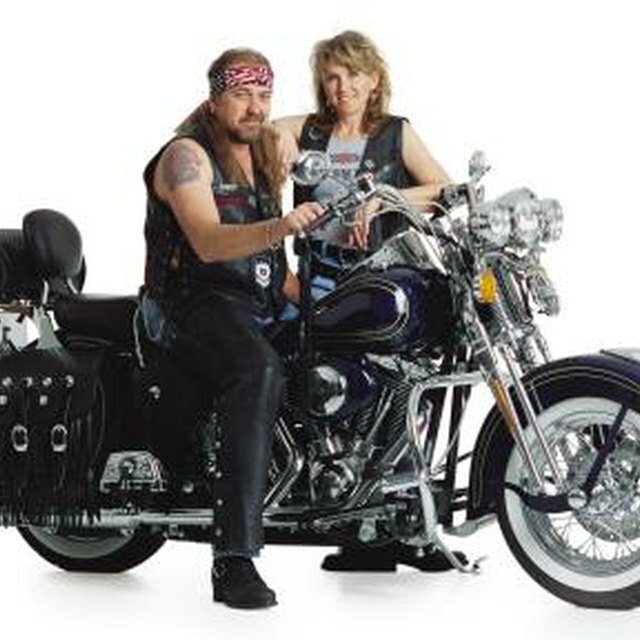 Some clubs disallow wearing colors while driving; as described in the book "Befriend and Betray," a negligent Hell's Angel named Gunk flouted this rule. "If he had any brains before being hit, he didn't afterward." A biker who is drummed out of the club must, of course, surrender his colors. Similarly, a biker who leaves a club, even unannounced, leaves his colors behind, rather than wear them like an old army uniform. Clubs have individual rules for wearing the colors; frequently, that the colors be worn on a sleeveless vest. To quote the authors of "Wayward Angels," one club that forcibly disbands another may celebrate as follows: "You first thrash a significant portion of its members, then as a coup de grace rip the colors from their backs. It was like taking scalps."